1. Nezhat C. Videolaparoscopy and videolaseroscopy: a new modality for the treatment of endometriosis and other diseases of reproductive organs. Colposc Gynecol Laser Surg 1986; 2:221-224. 2. Nezhat C, Crowgey SR, Garrison CP. 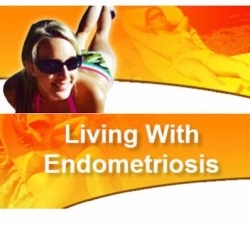 Surgical treatment of endometriosis via laser laparoscopy. Fertil Steril 1986; 45:778-783. 3. Nezhat C, Nezhat F, Nezhat CH, Admon D. Videolaseroscopy and videolaparoscopy. Baillieres Clin Obstet Gynaecol 1994; 8:851-864. 4. Nezhat C. Operative laparoscopy will replace almost all open procedures. JSLS 2004; 8:101-102. 5. Nezhat C, Nezhat F, Green B. Laparoscopic treatment for obstructed ureter due to endometriosis by resection and ureteroureterostomy: a case report. J Urol 1992; 148:865-868. 6. Nezhat CH, Nezhat FR, Freiha F, Nezhat CR. Laparoscopic vesicopsoas hitch for infiltrative ureteral endometriosis. Fertil Steril 1999; 71:376-379. 7. Miller EA, Webster GD. Current management of vesicovaginal fistulae. Curr Opin Urol 2001; 11:417-421. 8. Meeks GR, Sams JO, Field KW, Fulp KS, Margolis MT. Formation of vesicovaginal fistula: the role of suture placement into the bladder during closure of the vaginal cuff after transabdominal hysterectomy. Am J Obstet Gynecol 1997; 177:1298-1304. 9. Cogan SL, Paraiso MF, Bedaiwy MA. Formation of vesicovaginal fistulas in laparoscopic hysterectomy with electrosurgically induced cystotomy in female mongrel dogs. Am J Obstet Gynecol 2002; 187:1510-1513. 10. Flynn MK, Amundsen CL. Delayed presentation and successful repair of a recurrent vesicovaginal fistula after hysterectomy and primary abdominal repair. Int Urogynecol J Pelvic Floor Dysfunct 2004; 15:53-55. 11. Walters MD, Karram MM. Lower urinary tract fistulas. In: Urogynecology and Reconstructive Pelvic Surgery. 2nd ed. St. Louis: Mosby, 1999:355-366. 12. Shull BL. Urologic surgical techniques. Curr Opin Obstet Gynecol 1991; 3:534-540. 13. Lee RA, Symmonds RE, William TJ. Current status of genitourinary fistula. Obstet Gynecol 1988; 72:313-319. 14. Taylor JS, Hewson AD, Rachow P. Synchronous combined transvaginal repair of vesicovaginal fistulas. Aust N Z Surg 1980; 50:23-25. 15. Nezhat CH, Nezhat F, Nezhat C, Rottenberg H. Laparoscopic repair of a vesicovaginal fistula: a case report. Obstet Gynecol 1994; 83:899-901. 16. Nezhat C, Nezhat F, Nezhat C. Operative laparoscopy (minimal invasive surgery): state of the art. J Gynecol Surg 1992; 8:111-141. 17. Sokol AI, Paraiso MF, Cogan SL, Bedaiwy MA, Escobar PF, Barber MD. Prevention of vesicovagi-nal fistulas after laparoscopic hysterectomy with electrosurgical cystotomy in female mongrel dogs. Am J Obstet Gynecol 2004; 190:628-633. 18. Nezhat C, Nezhat F. Laparoscopic repair of ureter resected during operative laparoscopy. Obstet Gynecol 1992; 80:543-544. 19. Nezhat CH, Seidman DS, Nezhat F, Rottenberg H, Nezhat C. Laparoscopic management of intentional and unintentional cystotomy. J Urol 1996; 156:1400-1402. 20. Nezhat CR, Nezhat FR. Laparoscopic segmental bladder resection for endometriosis: a report of two cases. Obstet Gynecol 1993; 81:882-884. 21. Nezhat C, Siegler A, Nezhat F, Nezhat C, Seidman D, Luciano A. Vesico-vaginal fistula repair. 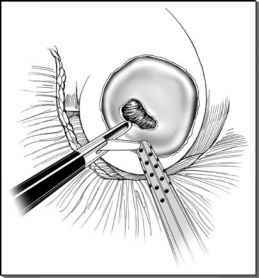 In: Operative Gynecologic Laparoscopy: Principles and Techniques. 2nd ed. New York: McGraw-Hill, 2000:349-351. 22. Ou CS, Huang UC, Tsuang M, Rowbotham R. Laparoscopic repair of vesicovaginal fistula. J Laparoendosc Adv Surg Tech 2004; 14:17-21. 23. Nabi G, Hemal AK. Laparoscopic repair of vesicovaginal fistula and right nephrectomy for non-functioning kidney in a single session. J Endourol 2001; 15:801-803. 24. Miklos JR, Sobolewski C, Lucente V. Laparoscopic management of recurrent vesicovaginal fistula. Int Urogynecol J Pelvic Floor Dysfunct 1999; 10:116-117.